President Trump’s anti-immigrant attacks put families in danger. But immigrant families, advocates, and everyone can take action to fight back. It can be as simple as sharing your story. You could also become a member of the Protecting Immigrant Families campaign. 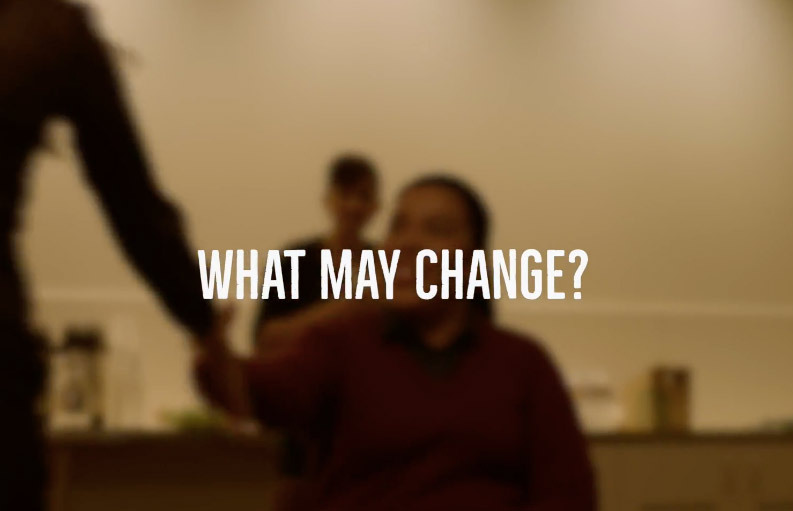 Whoever you are, wherever you are, click here to learn ways to make a difference. To make it easier for your team to promote the Protecting Immigrant Families Campaign website, they’ve created a comprehensive digital toolkit for Facebook, Twitter, and Instagram — complete with 1) sample social media, 2) graphics, and 3) a sample e-blast for your email lists. Comment on the rule and tell the government how harmful this rule is to children and families. As a partner in our work to provide every child a bright future, it is critical that the federal government hears from you regarding the severe negative implications of this rule for children’s health, nutrition, economic security, and overall wellbeing. Comments are due by Monday, December 10. You can submit your child-focused comments through our partners at the Protecting Immigrant Families Campaign. Submit comments here. To help you highlight and create unique comments on the impact on children’s health and well being, our team at TCP has drafted child-focused template comments here. These are intended to serve as a guide and include areas to personalize the impact of this rule on your community. Advocate Tool-Kit: Crafted in partnership with the California PIF partners, this tool-kit provides advocates with a series of materials to speak to your audience. It includes information on the public comment process, community fact sheets in multiple languages and how to’s for media and elected officials. 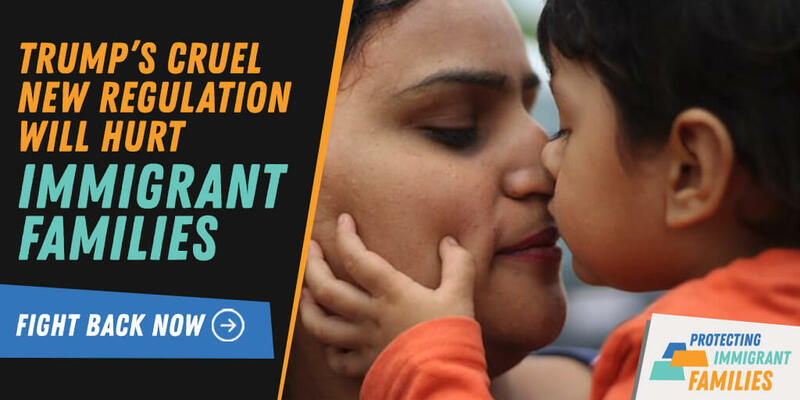 In doing so, these regulations would jeopardize the status of millions of immigrants who use—or whose children use—health, housing, nutrition, and other key services and support. It would do this by radically altering the way in which federal officials evaluate whether certain immigrants are—or are likely to become—a “public charge.” The mere threat to these rules, which have been leaked to several national news publications, has already contributed to the climate of fear and stress faced by immigrant communities today. Adoption of the rules by the federal government could create further confusion, deepen fear in the community, and significantly impact access to health and social services for California’s children, where one in two children are part of an immigrant family. 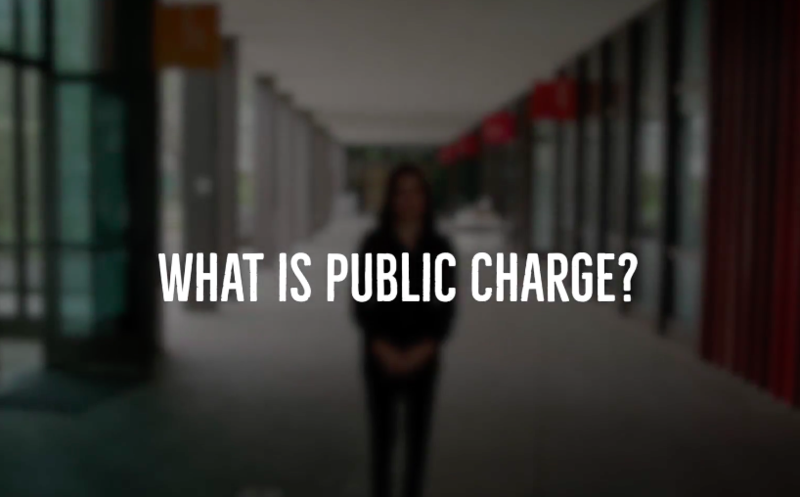 In partnership withThe California Endowment, and with input from partners like the National Immigration Law Center and the California Immigrant Policy Center, we have created a video to inform you about potential changes to “public charge,” its impact on children and families, and ways you can get involved to not allow these changes to move forward. #RiseUpAsOne Download and share our video. 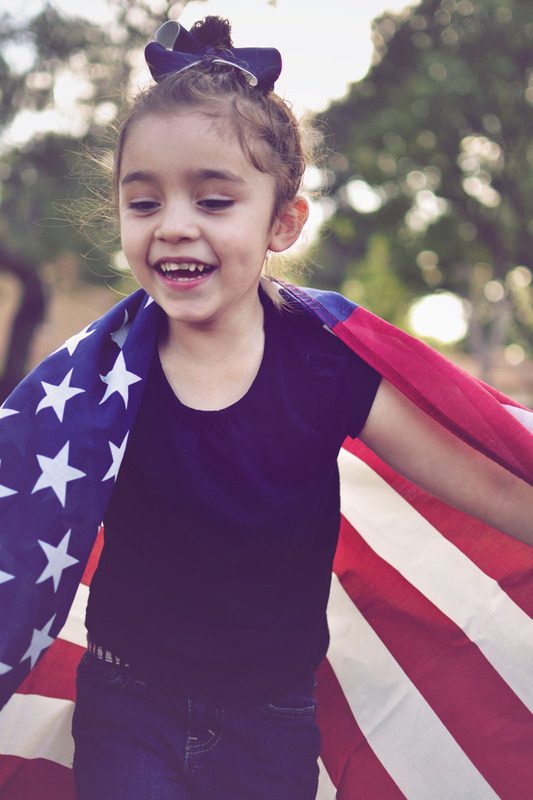 Over the last eighteen months, The Children’s Partnership has worked to show you how the national climate toward immigrant families impacts the wellbeing of children in California and across the nation. Through our Healthy Mind, Healthy Future initiative, research with health providers in California, and engagement with education partners in our ALL IN For Safe Schools campaign, we seek to provide you with information about what policymakers, advocates, and communities can do to support children in immigrant families. We will continue to fight for all children and will share more with the upcoming release of a 500-person survey of families in California. The Children’s Partnership is an active member of the Protecting Immigrant Families, Advancing Our Future Campaign to fight these impending draft rules. The campaign is co-led by the National Immigration Law Center (NILC) and the Center for Law and Social Policy (CLASP). We join them and families nationwide in denouncing this attack on immigrant families. Learn more about how you can get involved with the campaign and sign a petition to oppose the proposed rule. Follow us at @Kidspartnership on social media to stay informed. 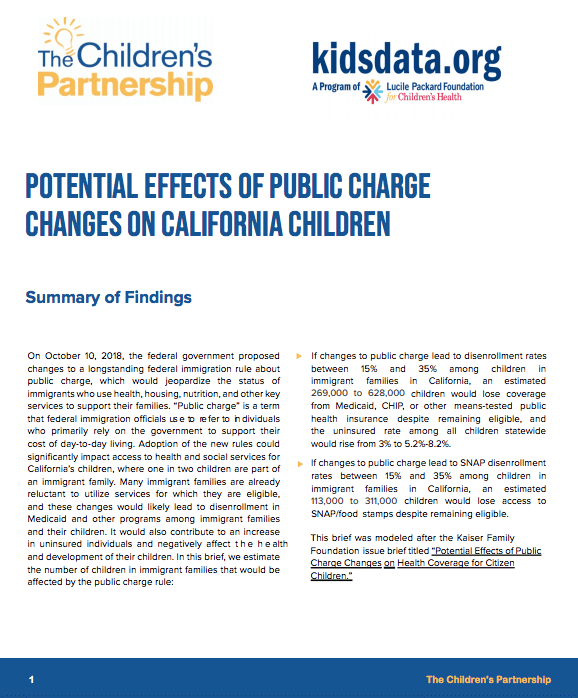 In partnership with Kidsdata and Population Reference Bureau, our latest brief “Potential Effects of #PublicCharge Changes on #CA’s Children” gives an overview of what the proposed regulation includes, the chilling effect it would have on the use of public programs & the negative impact it would have on the health & wellbeing of children in immigrant families. As children’s advocates, we hope you will use this valuable information to highlight the particular impact on California children’s access to critical services in your public comments in response to the rule. 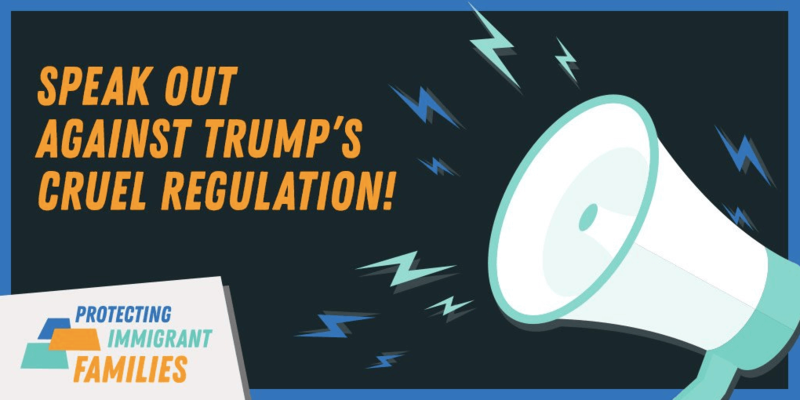 Please join us in pushing back on this harmful proposed regulation and help move our country forward toward a better, brighter and healthier future.